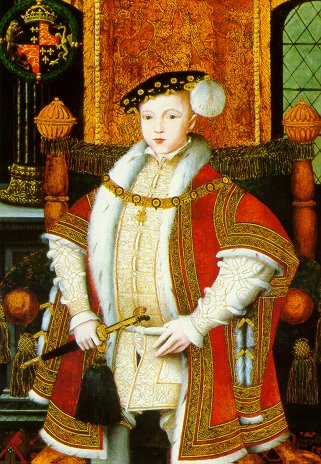 Edward VI was the only son of Henry VIII, by his queen, Jane Seymour, was born at Hampton Court in 1537. His mother died soon after his birth. He was carefully educated, and had for tutors Sir Anthony Cooke and Sir John Cheke. He succeeded his father in 1547, but by reason of his tender age and early death had little to do with the important measures that mark his reign. His uncle, the Earl of Hertford, was named Protector, and created Duke of Somerset; but in 1549 his place was taken by John Dudley, Earl of Warwick, created Duke of Northumberland; and Somerset, two years later, was charged with treason and felony, and beheaded. Both of these, however, carried on the work of the Reformation. 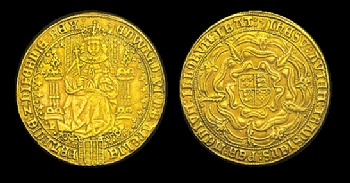 Somerset made an expedition into Scotland, and gained the victory of Musselburgh or Pinkie in 1547; Warwick defeated the insurgents under Ket, the Norfolk tanner, in 1549; a very severe law was passed against vagabonds, but had to he soon repealed; the act of Six Articles was repealed, and the use of the book of Common Prayer established. By the intrigues of Northumberland, Edward was induced in his last illness to name Lady Jane Grey his successor. He died at Greenwich in July, 1553. 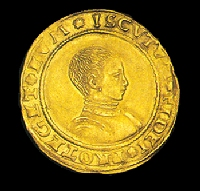 Edward VI was the founder of Bridewell and St. Thomas’s Hospitals, and of numerous Grammar Schools.